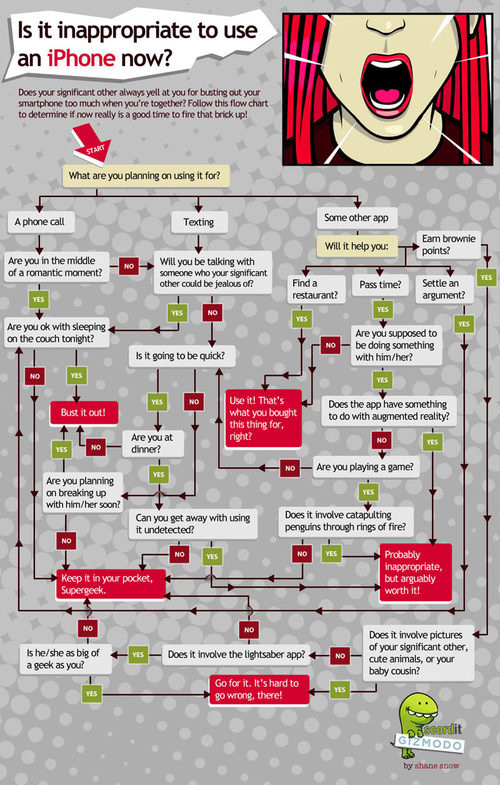 Romance Flowchart: When Is It Inappropriate to Use Your iPhone? 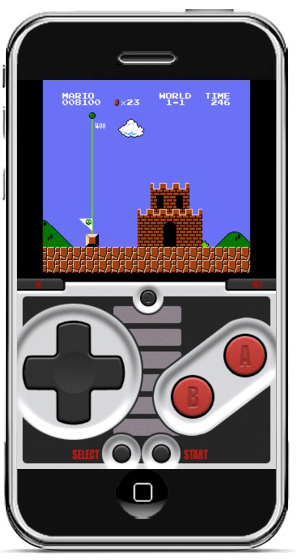 When I saw this on Gizmodo, I knew I just HAD to post this up on the blog! I know this flowchart will be beneficial to all you “Casanovas” like myself. Being connected 24/7 with smartphones, especially the iPhone, has changed the way we socialize. We just can’t put down our iPhones! Check it out, enjoy, and let us know what you think of it! Are you guilty of pulling out your iPhone on dates?